Man Utd boss Jose Mourinho is in Zagreb this weekend to watch Marcelo Brozovic, while he is also said to be keen on Ivan Perisic. Perisic was suspended for the World Cup qualifying clash with Ukraine, and so from a scouting perspective it was Brozovic who was seemingly the subject of his interest on this trip. 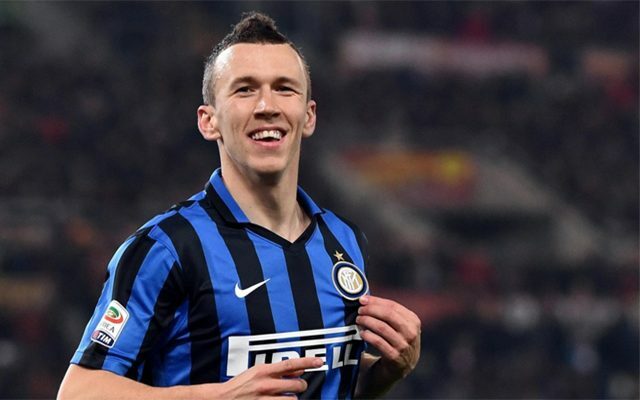 According to La Gazzetta dello Sport though, Mourinho is a fan of both players despite Liverpool and Chelsea being interested in Perisic, but all three Premier League giants could be left disappointed as Inter have no interest in selling the versatile winger. It’s claimed that while United were said to be willing to offer up to €40m for the former Wolfsburg star, the Nerazzurri have no desire to see him leave the club and in turn have placed a €60m price-tag on him as the Suning Group consider him to be fundamental to the club’s future. As a result, it remains to be seen what that means for United’s interest in him as Mourinho is expected to be busy this summer transfer window and will have to work around the budget that the club put in place. In contrast, should the Portuguese tactician be left impressed by Brozovic this weekend, the report adds that Inter are more relaxed over his future and are willing to listen to offers around €25m-30m. It could be argued that Perisic would be the more sensible purchase as he can offer United more quality, but finances will seemingly play an important part in their pursuit of the Inter duo and they may be forced to look elsewhere.